Radio is a highly relevant and effective medium for Travel brands. Find out why and how with our five-point guide below. 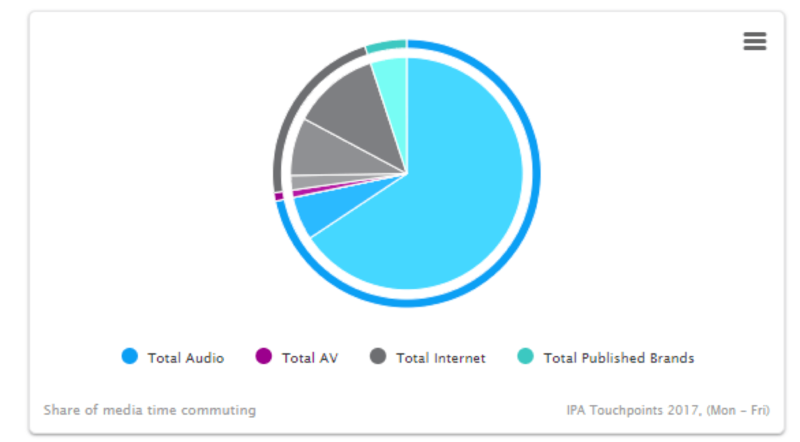 With radio, travel advertisers have the opportunity to reach people while they are commuting or at work – times when they are likely to be more open towards advertising messages encouraging them to plan their holiday. Travel is a mature web category, with a high proportion of planning and purchase conducted online. 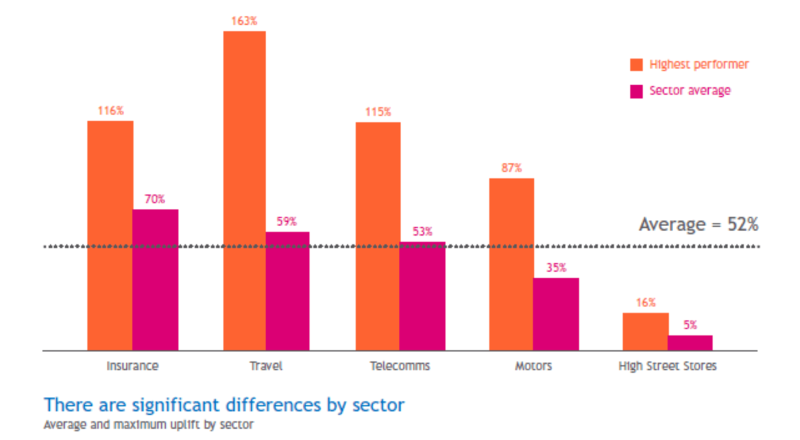 Radio advertising is effective at driving online response and travel is the second highest performing sector overall with listeners who had been exposed to radio campaigns 59% more likely to browse the advertised travel brands. The best performer in the study with a 163% uplift in brand browsing was also a travel brand. 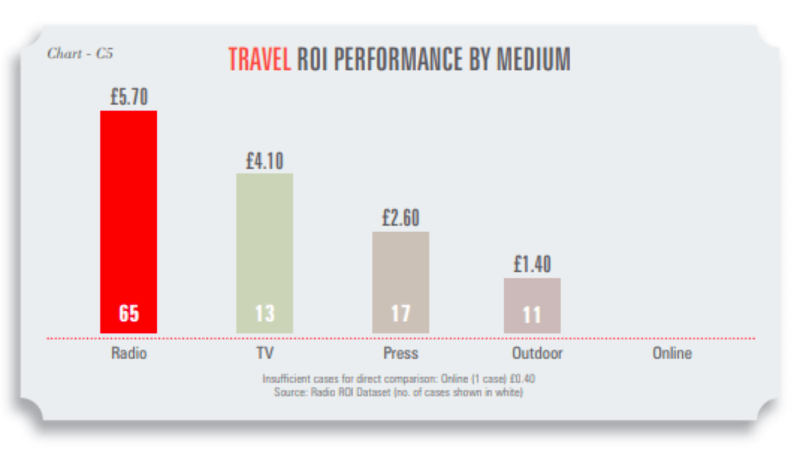 Radio performs best of all media in terms of ROI for Travel brands, returning £5.70 on average for every advertising pound spent. This is because of radio’s ability to stimulate an emotional response coupled with its strength at driving business online, where consumers access travel brands directly. 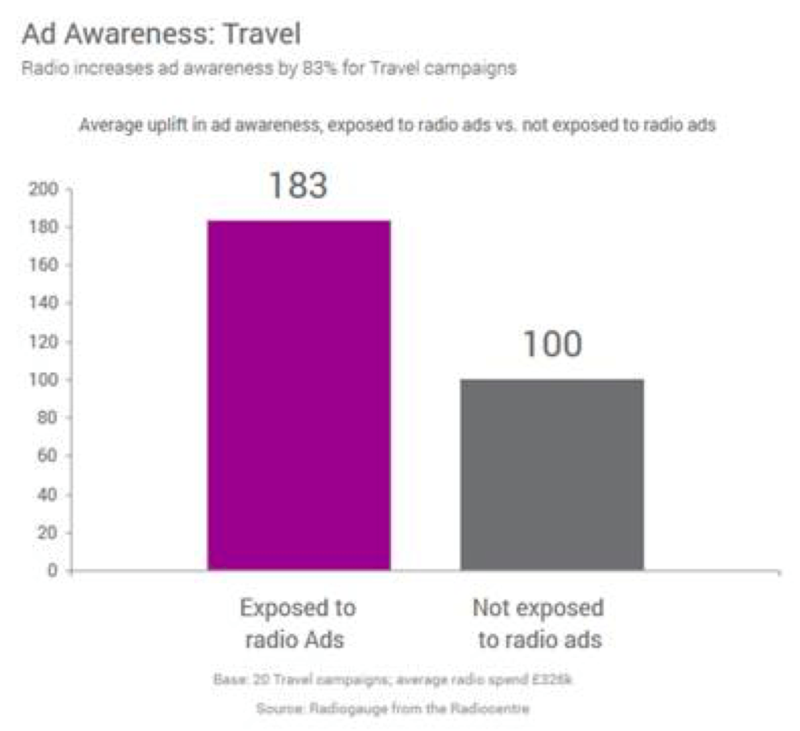 Ongoing effectiveness research study Radiogauge underpins how radio has a significant uplift effect on awareness, brand relevance, and consideration for Travel brands. Radio advertising helps BA’s web traffic and online ticket sales ‘take-off’.